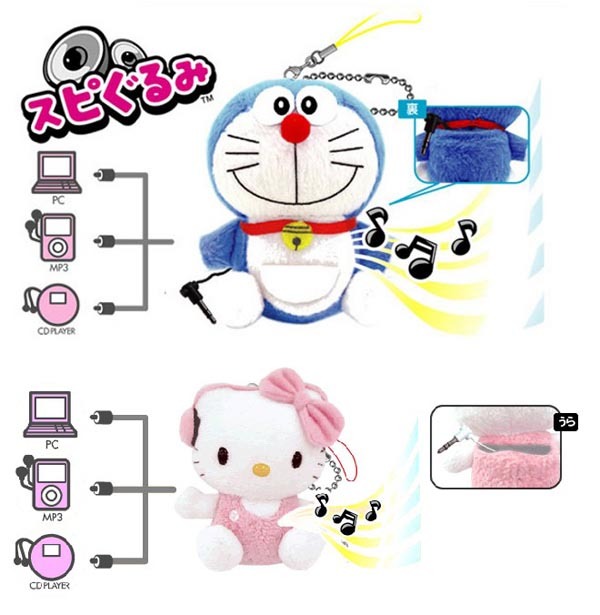 Cute plush cartoon characters are not only cell phone straps or pouches, but also useful mini speakers. If you like Hello Kitty or Doraemon, let’s go on checking. These mini plush toys are made by a Japanese manufacturer called Speagurumi. Each plush strap measures 75mm tall, and comes with a built-in mini speaker that through allows you to connect with iPod, MP3 player, cell phone, and any device with 3.5mm audio female connector, and share music with those around you. Apart from that, Speagurumi also shows us its cute carrying pouch speaker. Apparently the carrying pouch mini speaker is a bit bigger than the mini speaker strap. 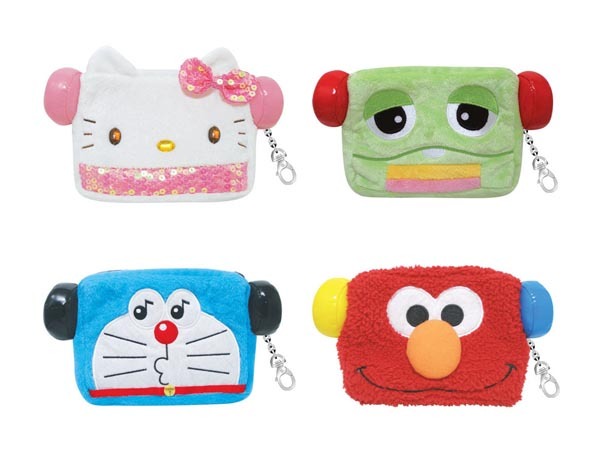 Each plush pouch measures 110 x 145mm. Of course, you can also connect it with any audio device with 3.5mm standard audio jack. Although two kinds of mini speaker feature different looks, yet each mini speaker has a same price tag of $41 USD. It seems a bit expensive. But if you’re interested, jump to GeekStuff4U (Carrying Pouch Speaker) for more details. Each kind of mini speaker comes in several cartoon characters including Doraemon, Hello Kitty, Gachapin, and Sesame Street. By the way, don’t forget to check the cute candy mini speaker and lollipop-shaped portable speaker.